The Government has responded to MPs’ calls for the 2040 ban on the sale of ‘conventional’ petrol and diesel vehicles to be brought forwards as it also says that current and future BiK rates already provide a strong incentive for drivers to choose the cleanest cars. The calls from MPs on the Business, Energy and Industrial Strategy Committee were published in last October’s ‘Electric vehicles: driving the transition’ report , which said that the 2040 target was “vague and unambitious” and must be brought forwards to 2032, backed up by meaningful purchase incentives and a truly nationwide charging infrastructure. The Government has now published its response, saying that 2040 is “an ambitious but achievable target and this Government believes it is a key part of the answer to the UK’s long term transport air quality and greenhouse gas issues”. It continues to say that the transition could “conceivably happen much quicker than 2040” but added that it would be actively tracking market developments and would “consider what interventions are required if not enough progress is being made”. This answer was also used in response to MPs’ recommendation that EV prices be made more competitive with conventional cars and vans. Meanwhile, the Government has also said it believes “company car tax is explicitly designed to make it more attractive for employers and employees to choose cars which emit the lowest levels of carbon dioxide emissions”. Commenting in response to BEIS calls for preferential CCT rates to be brought forwards, the Government said that drivers in the current and next tax year already receive a significant discount for choosing a low or ultra low emission vehicle and the rates from 2020-21 will drive this further. Latest new car registration figures also indicate that further action is needed. The SMMT data for last year shows that although registrations of plug-in cars reached record levels in 2018, demand is falling behind the EU average as incentives are pulled. 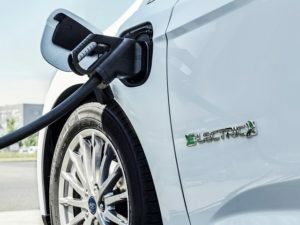 This includes for plug-in hybrids; although PHEVs saw a strong uplift (+24.9%) over the year, the figures suggest growth is slowing following the removal of the Government’s plug-in car grant for these vehicles in October.